It warmed the cockles of my heart yesterday, to discover that there were even more bin slimmers officially on board, aiming to reduce their household waste over the next 8 weeks, and one of them had extra news to share. It came in the form of Joanna Boardman, who has not only pledged to see how low she can go, but has also registered her challenge on the DoNation website in the hope that she can also gain some sponsorship for her efforts. 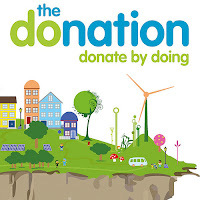 Now, before you think I'm going to ask you to empty out your spare change, if you haven't come across it before, the DoNation scheme is a sponsorship site with a difference. It asks supporters not to delve into their pockets, but to donate by doing instead, a marvellous idea based on the inspiration of founder Hermione Taylor, who cycled from London to Morocco in 2009. She didn't ask friends and family for sponsorship but asked them to do something to make a difference to help environmental issues. She was amazed that this drew sponsorship from 216 people, whose actions saved over 16 tonnes of CO2, the equivalent of 84 flights from London to Morocco. 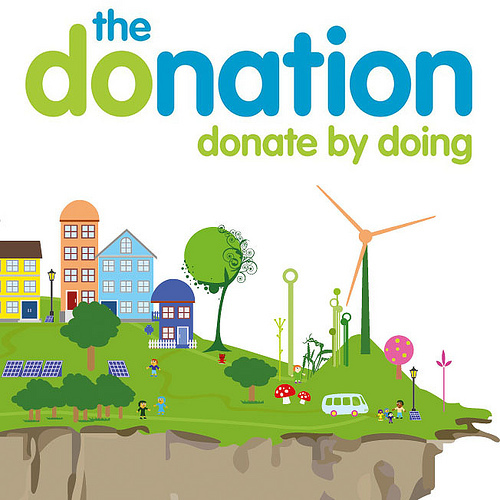 Joanna challenge was the 100th to be registered at DoNation, and she is now keeping a diary over at her blog Let's Waste Less, which encourages people in North East Lincolnshire to make less waste. Joanna also happens to be a waste minimisation officer for North East Lincolnshire and having just moved into the county it will be interesting to see how she gets on, whilst wearing both her professional hat as well as being a resident. Her starting point last week was 1 sack full of kitchen rubbish and two carrier bags full of other household waste. She lives in an area that doesn't recycle yoghurt pots or plastic meat packaging and she'll no doubt have trouble with all kinds of plastic film as well. And having left her old compost bin in situ at the previous house, one of her first tasks has been to organise a new one for her latest property. I remember that was one of the first things I did when we first moved to Bury St Edmunds. Even though the council collected fruit & veg peelings and garden waste, I recall crossing my arms defensively and saying "They're not getting their hands on my compost! ", so there's nothing quite like a girl after my own heart.